The fish market on the beach at Playa Principal, Zihuatanejo, Mexico. When the local fisherman return about dawn, they sell their catches at a beach fish market to early morning buyers. 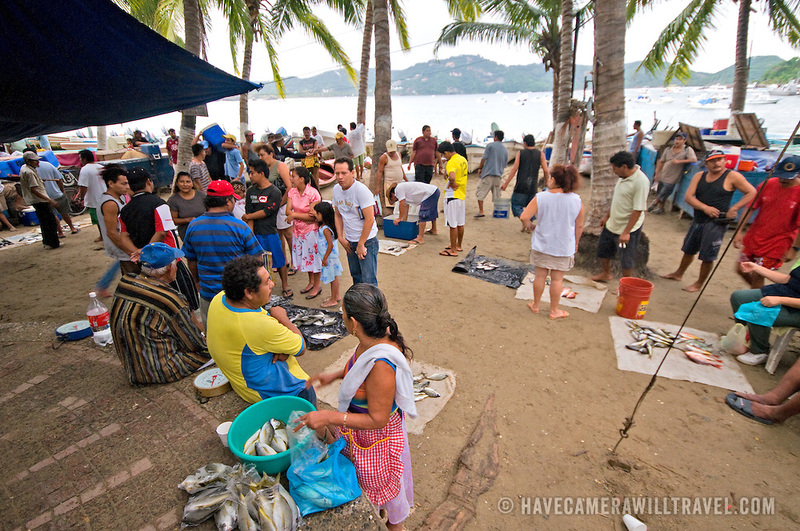 Being a traditional fishing village, the seafood in Zihuatanejo is superb.